A gifted warrior who tries to prove his might. “ Nothing keeps me from going my way. Although the Suju region has a long history of fighting, a new type of hand-to-hand combat, introduced by the prolific fighter, Lady Shannon Myre, is much more famous than the Suju's traditional fighting. Lady Shannon Myre, opened and operated fighter dojos all over the country, and she only trained the female fighters. Traditional Suju fighting has been passed down mostly from men to other men. In Suju, every male trains for 6-10 years, from the time they start to walk, just to learn the basics of fighting. Because of this tradition, a small country like Suju has been able to maintain its independence against powerful neighboring countries. The reason? Well, there is a saying that explains it: "Don't pick a fight in Suju, not even against a dog." Suju fighting primarily utilizes the art of kicks, unlike the fighting styles of other continents which focus more on weaponry and upper body strength. Other than Pungjin, who acts as an ambassador for the continent of Arad, Suju fighters remain a shadow in the eyes of those who seek them. The Suju art form had all but vanished from the culture of Arad, except for those few males who keep the craft alive in solace. Of course, the male fighters you see practicing Suju tactics today display a new, transcended form of the style itself. The new breed ushered in many electric strategies, disciplines and art-forms to form the style they wield today. In ancient times, all Suju fighters practiced only Nen; but now, with new motivation, the art itself has produced many skilled Strikers, Brawlers, and Grapplers alike. Male Fighters are a lower torso based class. 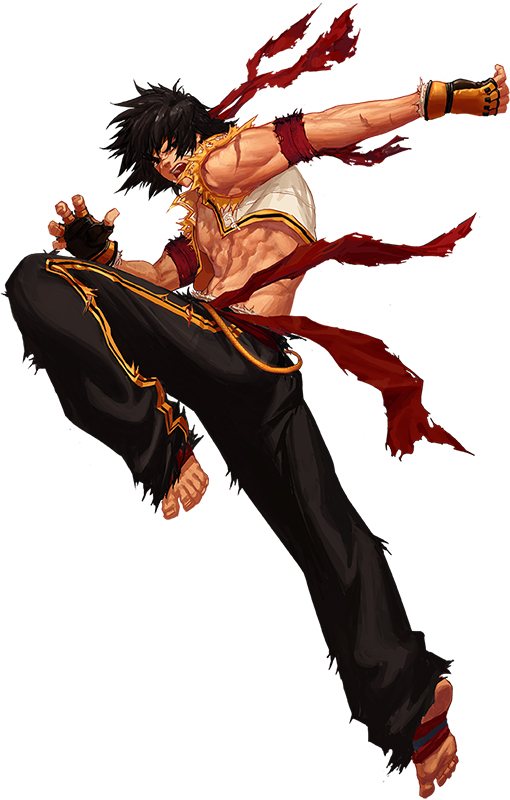 The Male Fighter uses his feet to inflict powerful low blows, break things, and even to chain grapple. 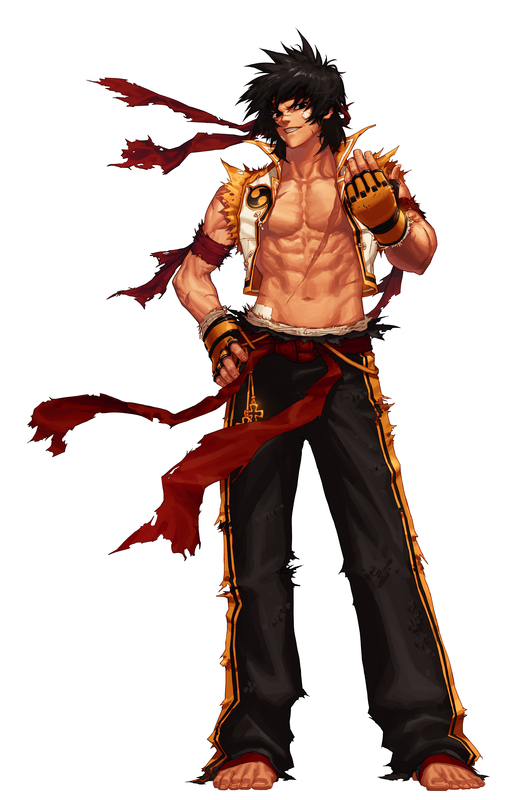 Male Fighters are also the male counterpart of Fighter. He uses Gauntlets, Claws, Knuckles, Tonfas, and Boxing Gloves. As male fighter gets used to his own fighting style, he allows himself to use such skills: Air Hop and Knee Cannon to devastate his enemies and be victorious. Very similar to his female counterpart but with some changes, most notably that he mainly uses kicks instead of punches. Generally considered to have a more offensive bent than his female counterpart, the Male Nen Master gives up some support/defensive buffs such as Khai for stronger offensive skills and buffs such as Tiger Flash. Male Nen Masters use either Knuckles for more damage or Tonfas for higher defense/reach and lower MP use. Much like his female counterpart, the Male Striker tends to focus on a fast-paced, combo-oriented play style. Male Strikers generally use Boxing Gloves. Similar to his female counterpart, the Male Brawler focuses on inflicting status conditions such as Bleed (Status), Poison (Status), and Blind (Status). Notable differences include the Male Brawler relying primarily on Poison Throw to poison foes instead of Apply Poison. Male Brawlers generally use Claws. This class focuses on the grabbing and throwing of enemies. He has a high-burst, high-MP use playstyle, much like his female counterpart. Male Grappers use either Gauntlets for damage or Tonfas for higher reach/defense and lower MP use. The Male Fighter must first reach level 15. This page was last edited on 21 April 2019, at 02:07.